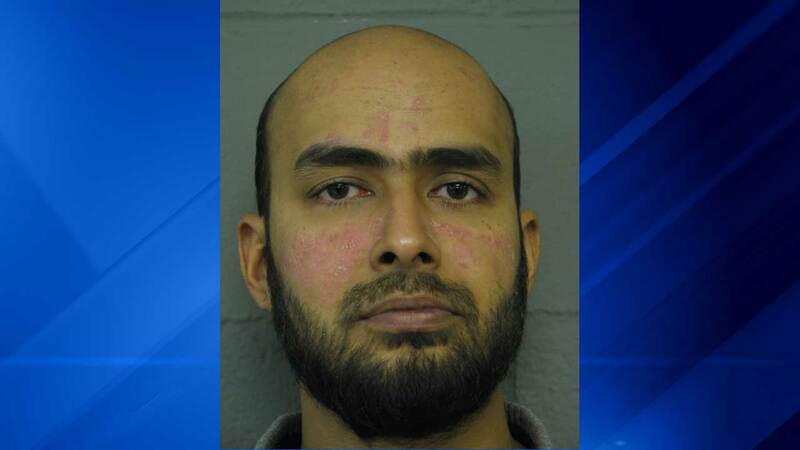 CHICAGO (WLS) -- The father of a girl found alone near the Allison Woods Forest Preserves in Cook County, Ill., will appear in court on Wednesday. Faiz Ikramulla, 35, faces a charge of aggravated kidnapping. Aliya, 3, was found by Good Samaritans on Tuesday, April 8, 2015, at 6:30 p.m. in Prospect Heights, Ill.
All she knew was her first name, so the Cook County Sheriff's Department put out a media alert with her picture to identify her family. At about the same time, her mother was filing a missing persons report with Round Lake police. Aliya told police her father left her alone in a trash can near the woods. He was extradited to Cook County from Van Buren County Jail in Michigan earlier this week. His bond was set at $300,000.